Texas State University has suspended all fraternity and sorority chapter activities following the death of a fraternity pledge after an initiation ritual. In a statement Tuesday, university officials say Matt Ellis was found unresponsive Monday morning at an off-campus apartment. The 20-year-old sophomore from Humble, Texas, had attended a party that Phi Kappa Psi fraternity members hosted Sunday night at the apartment. An autopsy has been ordered. Police in San Marcos, Texas, about 50 miles south of Austin, say they suspect alcohol played a role in the death. 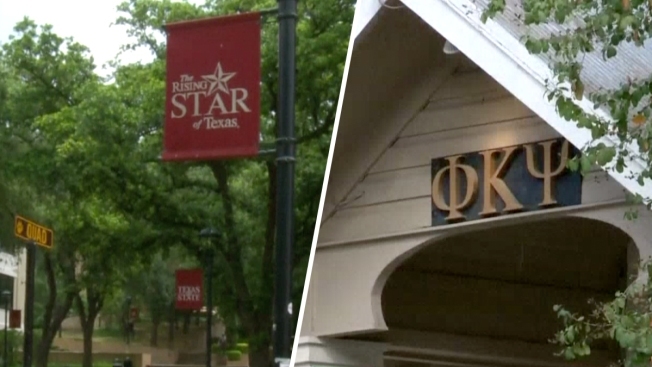 In a statement, the Phi Kappa Psi national office says it suspended the Texas State chapter last week for unrelated matters, and it will remain suspended while the investigation continues. University President Denise Trauth says the chapters won't be reinstated until a review is done of the entire fraternity and sorority system on campus.